President Donald Trump shot back at JPMorgan Chase CEO Jamie Dimon, saying the banker doesn't have the "smarts" to run for president. "The problem with banker Jamie Dimon running for President is that he doesn’t have the aptitude or “smarts” & is a poor public speaker & nervous mess - otherwise he is wonderful," the president said in a tweet Thursday morning. The president's dig at Dimon comes after he said in a panel Wednesday that he would be able to beat Trump in an election because he is "smarter than [Trump] is." Dimon quickly backtracked an interview with ABC News' Rebecca Jarvis on Wednesday. 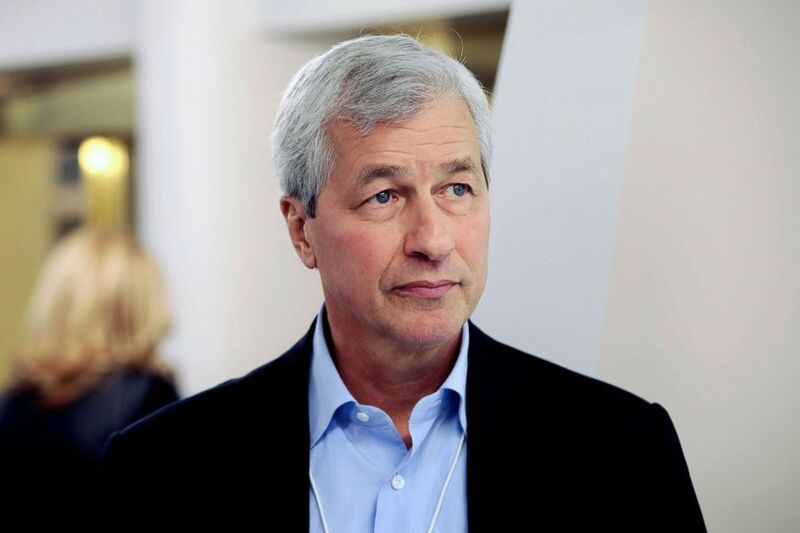 Following Wednesday's event, in which JPMorgan Chase announced a new initiative to economically advance select cities around the world, the bank also released a statement to walk back on Dimon's comments. James Dimon, CEO of JPMorgan Chase & Co., during the World Economic Forum in Davos, Switzerland, in this Jan. 18, 2017 file photo. "I should not have said it. I’m not running for President. Proves I wouldn’t make a good politician," said Dimon in the statement. "I get frustrated because I want all sides to come together to help solve big problems,"